A group of sketchy illustration vector set which is related to ranch environment. 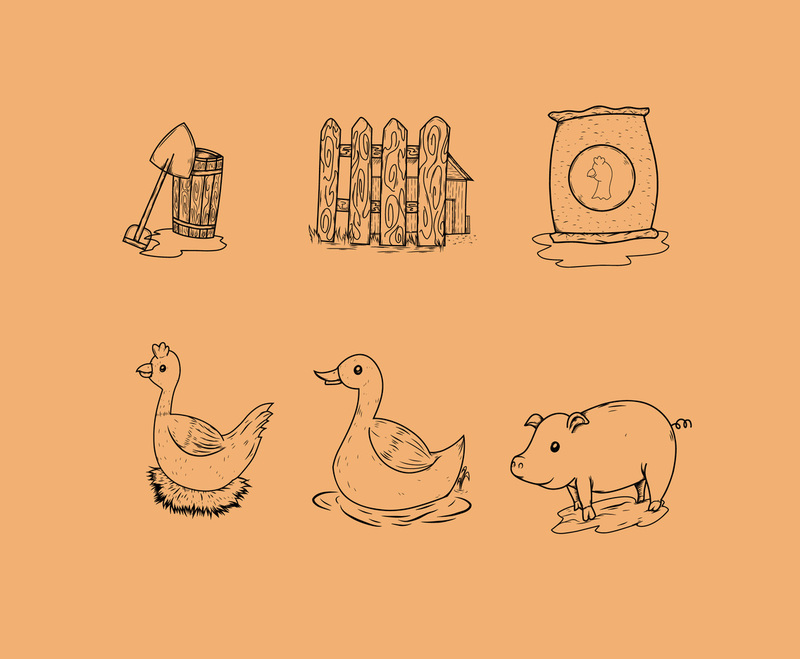 In the set you'll get illustration of a duck, a hen, a chicken, a barn, shovel and a bag of poultry feed. This set would be a nice addition in any design with country or farm life theme.